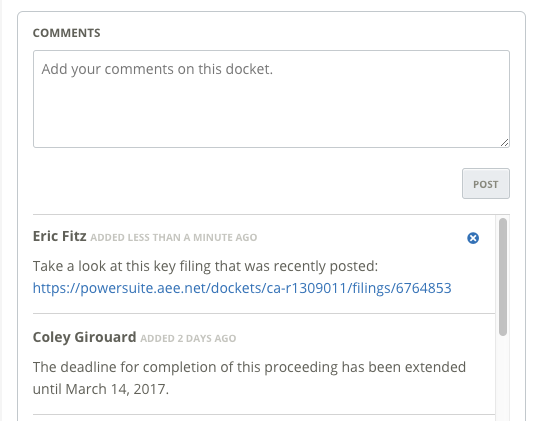 When viewing a docket or bill page, look for the "Organization Comments" tab. This is your organization's private space to share summaries, comments, important links and more with each other. It is a great way to avoid the need to maintain separate "status" spreadsheets and helps to streamline coordination with your team. Only users on your team can see the content you add to PowerSuite as data privacy is a top priority for us. The summary area is designed to give you plenty of space to add an organization-wide statement on why a particular policy issue is relevant for your team. This summary is shared with all the users on your team (but no one else) and can be edited by any member of it. You can also flag your team's internal priority on a docket or bill. On bills, there is an extra flag that allows you define your team's position as well. The comments area allows you to have a conversation with your colleagues. 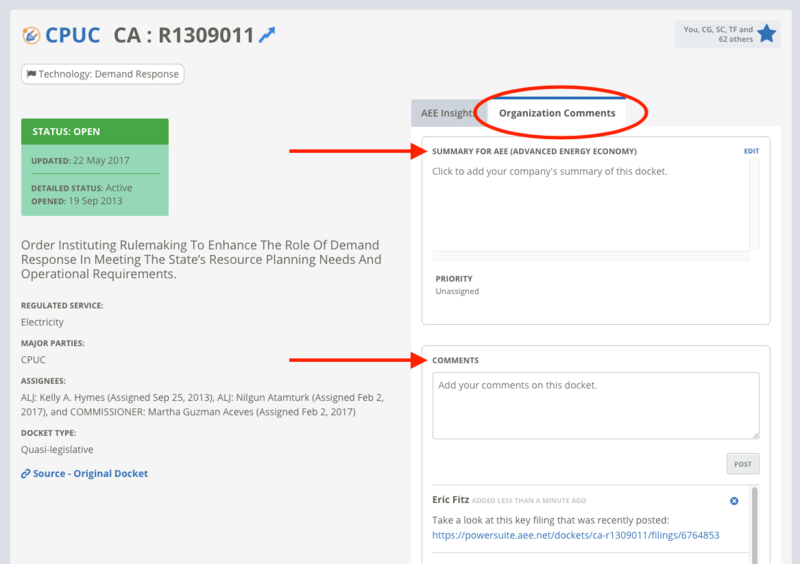 Unlike the shared organizational summary section, the comments section allows users to add or delete personally attributed comments marked with their full name and time of posting. You can share PowerSuite links or links of any kind (i.e. news articles, a dropbox file, etc) as well. All of your team's communication can been viewed at a glance on the "my favorites" or "organization favorites" area of bills or dockets. You can also sort based on the priorities that you have set. It is easy to export your team's commentary at anytime using PowerSuite's export option. Learn how to export your comments plus additional PowerSuite data here.